Baseball’s been deemed America’s pastime since…well, forever. Today, Major League Baseball actually takes a back seat to the National Football League for America’s most popular sport. The World Baseball Classic is the perfect platform to prove baseball’s importance to the United States, except this tournament takes precedence over everything else for most of the other countries in this event. Last night, team USA played Dominican Republic in a game that advanced the winner into the championship round of the tournament. It was matchup featuring many MLB All-Stars and two powerhouse teams in this tournament. Dominican Republic won the game 3-1 with a highly emotional ninth inning rally. The ninth inning was all you needed to see to know how important this event is to the Dominican Republic. After every pitch, hit, and run scored Dominican players couldn’t hold back their emotions any longer. They were feeding off the crowd of 34,366 at Marlins Park, which had much more of a home game feel for the Dominicans. The strong passion from the large Dominican crowd was spilling over on to the diamond. Eric Aybar’s pinch-hit go-ahead RBI single in the top of ninth started the whirlwind of emotions in the Dominican dugout. Players leaped out of the dugout fist-pumping, chest-pounding, and flaunting the Dominicana across the front of their jersey. Some would say that the Dominicans acted out of line, but I’d say they acted perfectly. It was a full display of how much passion and pride the Dominicans have for this game. At the end of the game, the Dominicans continued to celebrate as if nothing else mattered. I couldn’t help but notice their 55-year-old manager Tony Pena, who was jumping up and down with his players like he was a kid again. No one can tell me that there was something wrong with this celebration. The Dominicans are seriously playing for the name on the front of their jersey. Last night’s celebration proved that this team clearly wants this for their country and no one else. 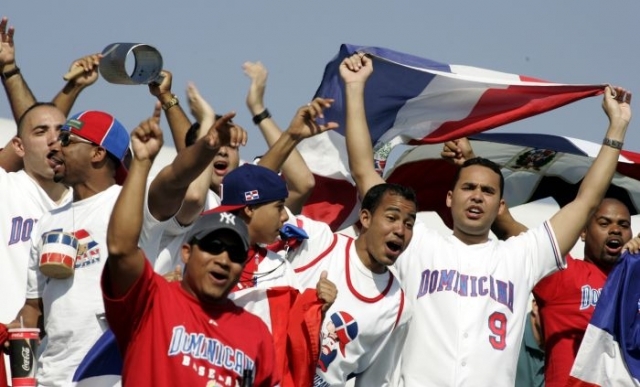 Winning the World Baseball Classic is a priority for the Dominican Republic, while it’s far that in the United States. The second round of the 2013 World Baseball Classic for the winners of Pool C and Pool D begins today in Miami, Florida. It’s double elimination format that advances two of the four teams into the final round in San Francisco, California. Pool A and Pool B finished their side of the bracket and second round play last night in Tokyo, Japan with Japan and Netherlands patiently waiting in the final round for the final two teams to advance. The four teams competing for the final two spots in San Francisco will be Italy, United States, Dominican Republic, and Puerto Rico. Dominican Republic is the clear favorite to come out of this round on top, with numerous MLB stars filling out their lineup. This 2013 Dominican Republic team is obviously determined to avenge their 2009 WBC first round exit, after beating Venezuela (9-3), Spain (6-3), and Puerto Rico (4-2) to finish as the number one seed out of Pool C play. They will take on Italy in the first game of the second round this morning, which on paper gives the Dominican Republic every advantage possible. That shouldn’t matter, though. This Italy team has been an underdog since they took the field for the first time last Thursday, against Mexico. 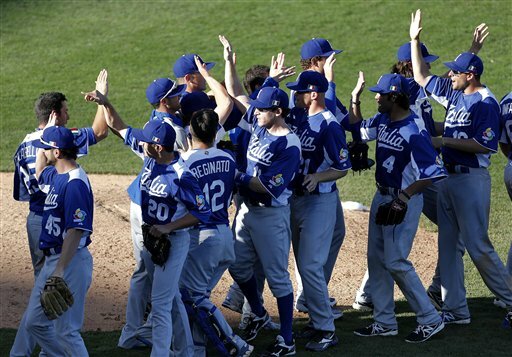 The Italians won that game 6-5 with a surprising ninth inning comeback. The next day Italy put the mercy rule into effect in the eighth inning when they beat Canada 14-4. They lost their final game against the United States 6-2 and finished as the number two seed in Pool D play. It would be a huge mistake by the Dominican Republic if they overlook this Italy team in any way. 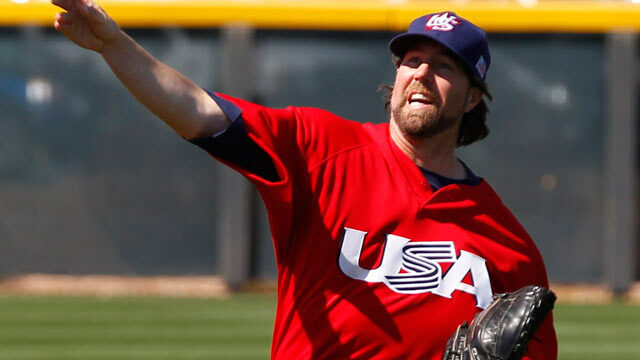 The United States will face off against Puerto Rico later today, which should be an exciting game, with more than a few MLB stars scattered all over the field. The United States and Puerto Rico both respectably finished with 2-1 records in Pool play. Gio Gonzalez of the Washington Nationals will be on the hill for Team USA in this one. He finished the 2012 season with 21-8 record, 2.89 ERA, and 207 strikeouts. Puerto Rico will start right-hander Mario Santiago, who has a career record of 36-51 in seven minor league seasons. In double elimination format winning your first game is so crucial because a loss basically puts your team in an uphill climb from the start. So today could actually be the most important for all four of these teams going forward. In the 2009 World Baseball Classic the Dominican Republic were eliminated in the first round of Pool play, after losing to the Netherlands in memorable fashion. That 2009 Dominican Republic team was loaded with MLB stars, including David Ortiz (Boston Red Sox), Hanley Ramirez (Los Angeles Dodgers), Robinson Cano (New York Yankees), and many others. There was no reason for a team with that type of talent to get knocked out in the first round, especially in a Pool that included Panama, Netherlands, and Puerto Rico. The 2013 Dominican Republic team will once again be highlighted by the big names, with Jose Reyes at shortstop (Toronto Blue Jays), Carlos Santana at catcher (Cleveland Indians), Robinson Cano at second, and Hanley Ramirez at third. Without question, this 2013 team on paper should once again be the favorites headed into this year’s WBC. However, Pool C could be tough for even this star-studded Dominican Republic team to get out of. The three other teams competing in Pool C out of San Juan, Puerto Rico will be Venezuela, Puerto Rico, and Spain. Venezuela also features some of the biggest MLB Stars, such as the 2012 AL MVP Miguel Cabrera (Detroit Tigers), Carlos Gonzalez (Colorado Rockies), Pablo Sandoval (San Francisco Giants), and others. Puerto Rico has their own fair share of MLB stars, including Yadier Molina (St. Louis Cardinals), Carlos Beltran (St. Louis Cardinals), and a few others. The first ever WBC appearance for Spain won’t be an easy one going up against this kind of elite competition. Although, the same thing was said about the 2009 Netherlands team and look at how that turned out. So, Pool C will without a doubt be competitive, but which two teams will advance into the second round? Thursday, March 7th, 6:30 p.m. ET. Friday, March 8th, 5:30 p.m. ET. Saturday, March 9th, 11:00 a.m. ET. Saturday, March 9th, 5:30 p.m. ET. Sunday, March 10th, 12:30 p.m. ET. Sunday, March 10th, 7:30 p.m. ET. 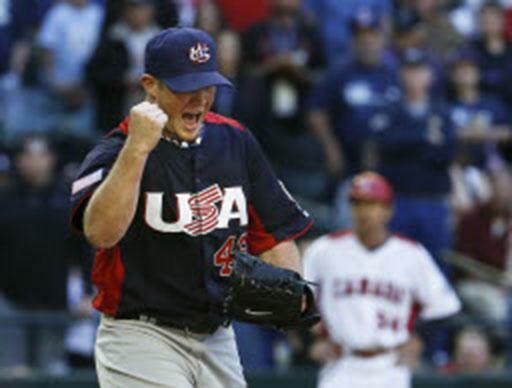 The 2013 World Baseball Classic got underway at the start of last weekend, with Pool A competing in Fukuoka, Japan and Pool B competing in Taichung, Taiwan. The weekend just wasn’t enough time to decide which two teams would be advancing out of Pool B, with South Korea, Chinese Taipei, Netherlands, and Australia still competing for those two spots on the final day of Pool B play. Chinese Taipei is the only unbeaten (2-0) team in Pool B, after defeating Australia 4-1 and Netherlands 8-3. South Korea; (1-1), Netherlands; (1-1), and Australia; (0-2). Realistically, all four of these teams still have a chance to advance into the next round. Chinese Taipei could clinch a spot into the second round with a win over South Korea tonight, which would make things a lot easier for them. If they lose to South Korea and Netherlands beats Australia things can get complicated. That would set up a three-way tiebreaker between all of those 2-1 teams. They could also advance if they lose to South Korea, but Australia beats Netherlands, which would leave them and South Korea with 2-1 records. Three-way tie-breakers are determined by “Team Quality Balance,” which is the sum of runs scored divided by the number of innings played on offense, minus runs allowed divided by number of innings played on defense. Australia lost both of their games over the weekend against Chinese Taipei and South Korea. They still have a very slim chance at advancing, but need South Korea to lose to Chinese Taipei and would need an extremely impressive win over the Netherlands to win a three-way tiebreaker with the three 1-2 teams. The Netherlands started off Pool play with a shocking 5-0 win over South Korea, but lost their second game against Chinese Taipei. This team could advance into the second round with a win over Australia tonight and a South Korea loss. They could also advance with a loss, South Korea loss, and win the three-way tiebreaker between all the 1-2 teams. If they beat Australia and South Korea beats Chinese Taipei then they would be in a three-way tie-breaker with the three 2-1 teams. South Korea beat Australia 6-0 and lost to the Netherlands over the weekend. This South Korea team could advance with a win over Chinese Taipei and a Netherlands loss to Australia. They could also advance with a loss, Netherlands loss, and win the three-way tiebreaker between the 1-2 teams. The three-way tie-breaker could also occur if they beat Chinese Taipei and Netherlands beats Australia, which would leave three teams with 2-1 records. Those are the possible scenarios that will determine which two teams are advancing out of Pool B. The final day of Pool B is underway now and by the end of it two of these teams will come out with a free trip to the second round in Tokyo, Japan. The first game of the 2013 World Baseball Classic gave New York Yankees fans a flashback, after Chien-Ming Wang had a dominating performance for Chinese Taipei in their 4-1 win over Australia. The former Yankees right-hander from 2005-09 wasn’t overpowering hitters like he used too, but he pitched six scoreless innings, while allowing just four hits on 61 pitches. He dominated with effective movement on his pitches and had complete control of where he wanted those pitches to end up throughout the game. The Australian team looked lost all night, as they never could figure out this former big league star. 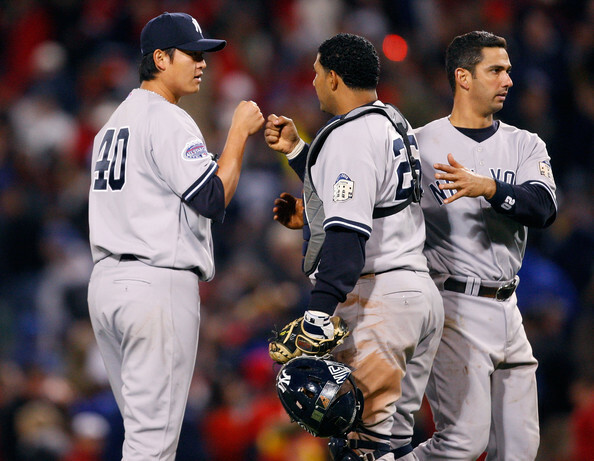 Despite his recent stretch of injuries in the major leagues, Wang was once known for his back-to-back 19 win seasons for the Yankees in 2006-07 and was one of the best young pitchers in baseball. He finished that 2006 season with a 19-6 record, 3.63 ERA, 218 innings pitched, and was the runner-up to Johan Santana for AL CY Young Award. Wang pitched a total of 32.1 innings for the Washington Nationals in 2012, finishing the season with a 2-3 record and 6.68 ERA. It will be interesting to see how he performs in this tournament going forward, especially with this dynamic Chinese Taipei lineup to back him up. He currently sits on the open mark as a free agent, but if he has one or two more performances like this one, that could change quickly.